The Neolithic Era was the final stage of cultural evolution and technological development for prehistoric humans. During this time, people developed new tools to improve quality of life. Neolithic tools were crucial to the beginning of permanent settlements and the agricultural revolution – leading to human life as we know it. The Neolithic Age, commonly known as the New Stone Age, was a period in prehistory when humankind achieved impressive milestones. Spanning roughly from 10,000 to 1,800 BCE, this era was marked by the development of tools that ensured humans would progress into the early phases of civilization. Advancing slowly but steadily, the human population underwent significant lifestyle changes, including the establishment of permanent settlements. Before this, bands of hunter-gatherers roamed from place to place, moving each time they exhausted the land’s resources or when animal prey migrated. Because of their ceaseless struggle for survival, prehistoric men and women could not settle down in any one place permanently. With the advent of new tools, humans invested in agriculture and no longer had to move from place to place in order to survive. In short, they literally planted roots. The new era of technologies and tools allowed for the cultivation of land, domestication of animals, and, as a result, the gathering of people into permanent villages. With the new tools and techniques, humans planted and harvested crops such as barley and wheat. They herded sheep and goats, using them for food and clothing. Because they were no longer required to be on the move constantly, the inhabitants of the new communities were able to devote time to previously unknown activities. Humans learned to express themselves creatively. They made pottery and learned to weave, producing materials that were both useful and artful. Culture was born! With settlements came new ways of living -- and new challenges. Previously, humans led a nomadic lifestyle requiring protection from fierce animals. When permanent villages were built, the inhabitants often found themselves confronted by a new danger: the people living just down the river or over the hill in rival communities. The development of agriculture meant “owning” the land, and defending it from rivals. Tools that had been designed mainly for building, planting, and harvesting were equally useful as weapons. Fences, walls, and other obstacles were built, and villagers learned to defend their land. Prior to the Neolithic Age, tools were characterized by chipped-stone tools and were often not durable for long-time use. But in the new era, people developed innovative strategies in their tool-making, creating stronger implements that lasted longer. 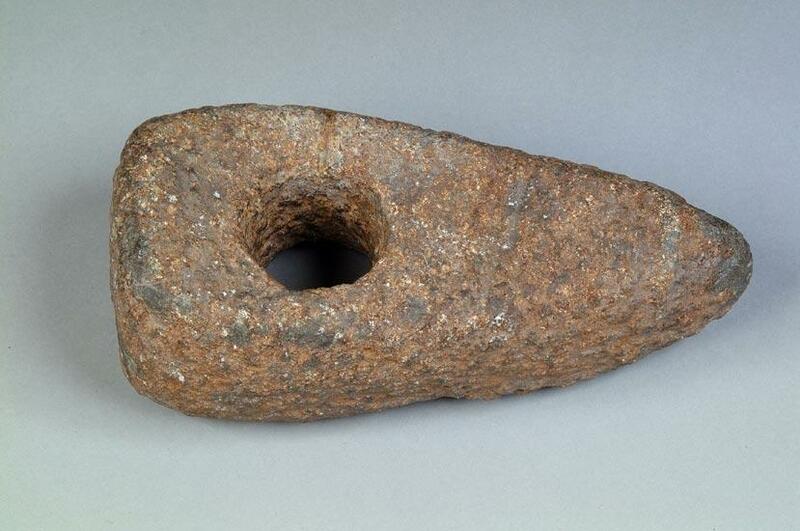 Neolithic communities made tools by grinding and polishing harder stones, rather than chipping softer ones. Using these novel methods, they improved upon older designs and invented completely new ones, too. During the Neolithic period, humans developed polished stone axes. Like other tools prior to this era, the ax was shaped through flaking – a process which involved chipping away at the stone until the desired shape and texture was achieved – and then smoothed down. This tool was vital for the spread of agriculture and the settlement into permanent communities. And axes had another important use: While they were effective for clearing land and fashioning materials for building structures, they were also formidable weapons. 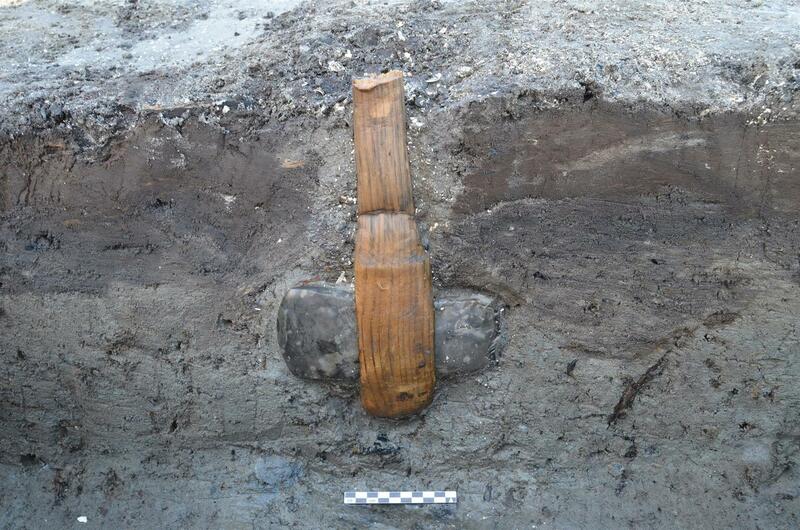 Thanks to the Neolithic inventors, we have a tool commonly used today. We should all be grateful that humankind took a swing at this tool. Without it, a lot of the conveniences we enjoy today would be put on the chopping block. These early stone tools appeared prior to the Neolithic Age, but they maintained a spot in the tool box because of their function: Scrapers were used in the butchering of animals and rendering of hides, some of which would be used for clothing. The outfits might not have been fashionable by any later standard, but they certainly kept their designers warm and protected. Blades were commonly used for hunting and butchering animals, but also for cutting up the fruits and vegetables produced as agriculture developed during the Neolithic Age. In addition, blades were used for tilling, which involved breaking up and loosening soil to prepare land for crops. Because blades were finer than scrapers, they were harder to create. Skill and care were necessary to prevent them from snapping in two during the knapping process. The difficult process was well worth the effort. Blades helped plant the seeds for future development, and were critical to advancing the prehistoric world into the agricultural revolution. 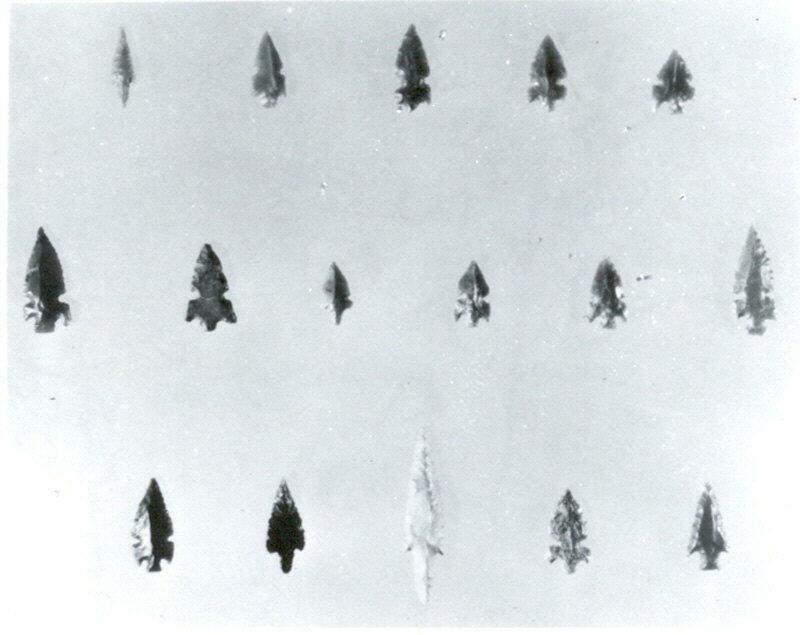 Even more difficult to create than blades were arrowheads and spearheads. Their shape and thinness were challenging to make, and, once crafted, they had to be secured to shafts using thread or sinew (a fibrous tissue collected from bones and tendons) and notches. The assembly process required a higher degree of skill and innovation than the tools and weapons of previous periods. 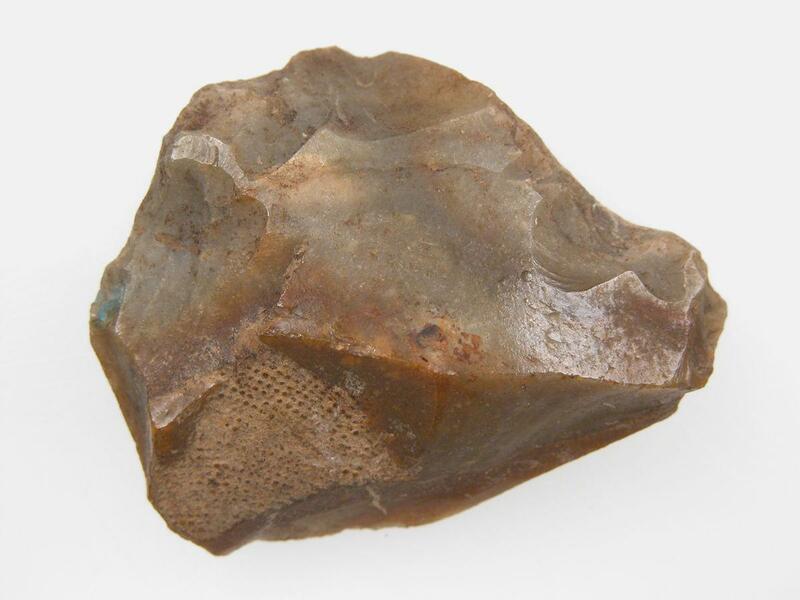 Flint was one of the most important materials to early humans, as the rock would flake into sharp edges. The process for crafting leaf-shaped flint, which has been found throughout Neolithic sites, was similar to the method for making arrows and spears. This leaf shape is an ancient design. It was first developed in the pre-neolithic era from materials like bones and wood. 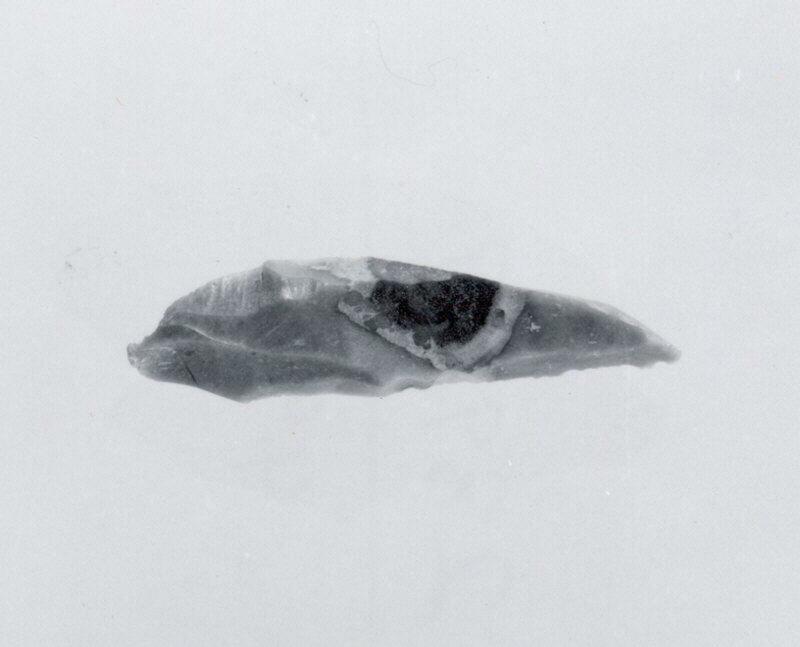 During the Neolithic era early humans applied the design to flint. One drawback was that flint dulled easily, but it could be easily sharpened. It did the trick for its time, and Neolithic humans made use of this tool until they discovered stronger materials during the Bronze Age, when sharpened stone was replaced by smelting (just as stone had replaced bone and wood before that). Another tool which greatly facilitated the transition to agricultural societies was the adze. 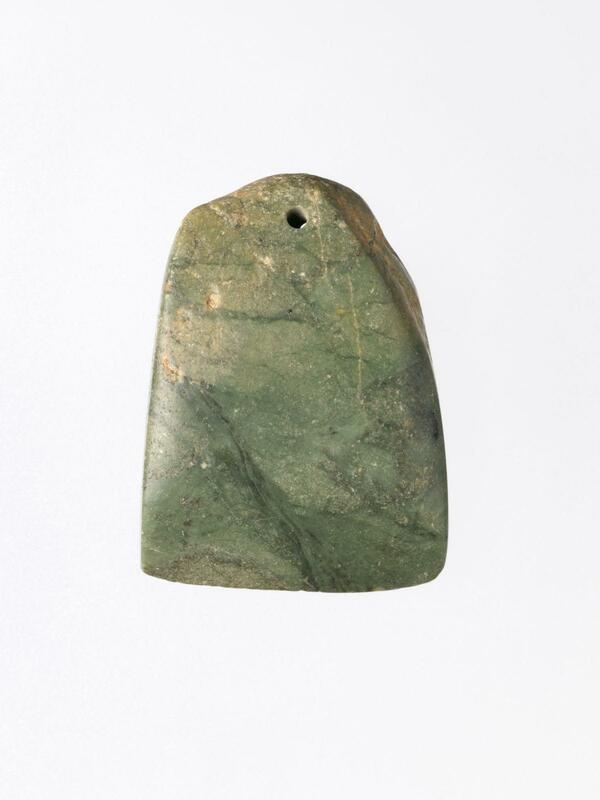 Adzes are made by fastening a flat blade to a handle, and they are used for woodworking. The tool is operated by gouging out chips of wood from a larger piece of wood, and is still used to this day. The adze made it possible to hollow out logs quickly, and helped with building on land and developing even more tools to contribute to the newly settled communities, as well as preparing land for cultivation. Adzes also aided in the future of transportation, a common use being to carve out canoes. Progress can be an upstream struggle, but adzes made the journey smoother. Where would we be without hammers today? Arguably one of the most influential tools on this list (or at least the most common one today), this tool has stood the test of time. Hammers eased the creation of new tools, and also made the construction of homes and settlements a little less painstaking. The first hammers were created by carving a hole through a rounded rock to form the head, and fastening this to a handle with rope or sinew. These early hammers may not be as vegan as the ones we have today, but they got the job done. The tools invented – and reinvented – during the Neolithic Age helped pave the way to a future of growth, of permanent settlements, of civilization itself. Humans could finally live off the land, instead of chasing it. While much progress was made during this era, there was much more ahead, and with the rise of farming came an increasing need for even more innovative implements. These new tools would be used for jobs never-before imagined – jobs we maintain to this day.